The film was called Shirkers and was shot in Singapore in 1992. It was written by Sandi Tan, who also acted in the lead role. What was originally conceived as a road movie is now a documentary about why the film was never released. And this version premiered at the Sundance Film Festival in Park City, Utah, USA, on Sunday to some positive notices. The Guardian gave it five stars, calling it “a magical documentary about an unrealised film project that celebrates the power of youth and friendship”. 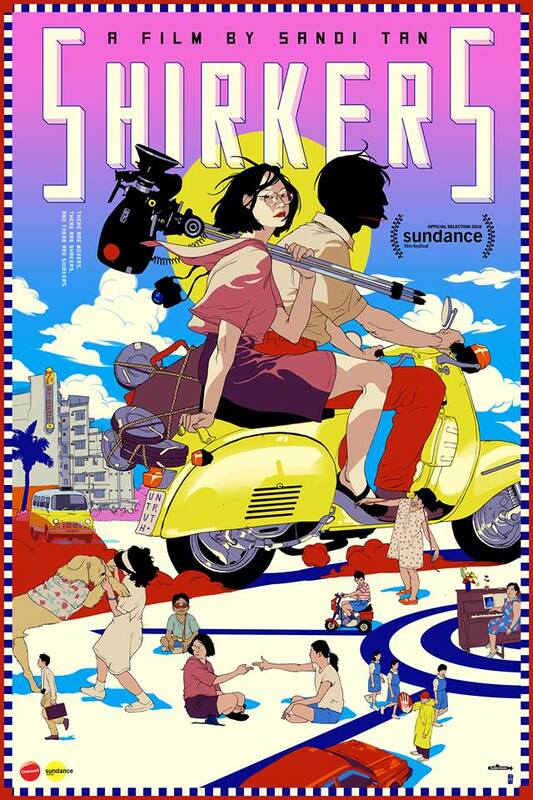 “Shirkers” has the handmade delicacy of a scrapbook come to life, blending ample footage from the original production with candid modern-day interviews and photography. Equal parts travelogue and archival rescue mission, the ensuing drama becomes a microcosm of broader themes. The film is also a fascinating rebel's-eye view of an authoritarian culture. Under Singapore's single-party regime, the country was a safe but boring place for a teenager in the '80s. Chewing gum was banned and, as Tan's voiceover narration notes, with a lingering sense of insurgency, family and the state were "in your face." LA Times called it “a smart, idiosyncratic, one of a kind examination of the vicissitudes of cinema, and of life”. The New Yorker called the film "gloriously, gleefully idiosyncratic". Before she moved to California, where she now lives, she was a movie reviewer for The Straits Times for a while. In 2012, she published her novel The Black Isle. But back in 1994, when I was the editor of a magazine called Man Life & Style, I hired her to write an article for me. The article was about Shirkers, of course. Tan, who is out of breath and animated behind the podium: “I wish I had something to read but I guess I have to improvise. "Making a film is like keeping a secret for a very long time. For me it was 25 years. I’m whispering in your ear 25 years later and it’s magic. "Making this film is me finding collaborators from around the world. Two years ago I was here and [Sundance Documentary Film Program team members] Tabitha Jackson and Kristin Feeley believed in me from the start and here I am with the finished project. Cinereach believe in crazy stories and people. " "Thank you my Shirkers family. We pieced this movie together and put them up in a condo and they love each other and it’s fabulous. We’re all here for this crazy movie. Tan tries to run off and grab her prize at the same time, creating a charming in-between moment, not knowing where to go.